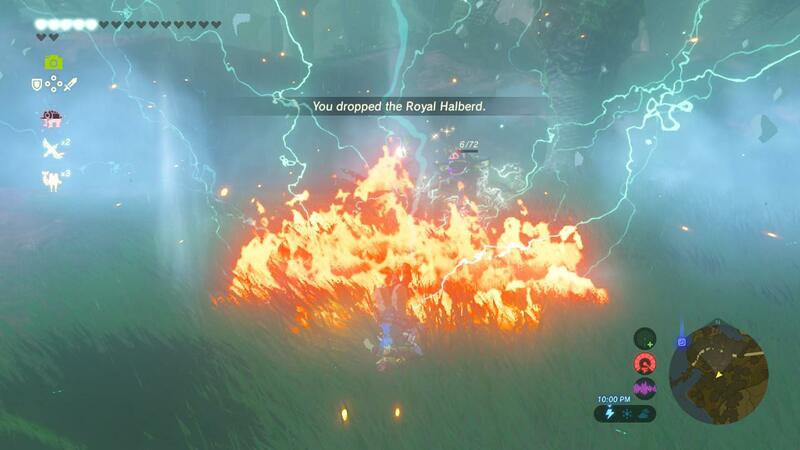 The Legend of Zelda: Breath of the Wild is an awesome game for the Nintendo Switch. It’s been out for almost a year now, but if you’re like me and just got a Switch for Christmas, you might be taking your first trek into the wilds of Hyrule. You’re gonna have fun, but after you get your basic skills and make your way off Noob Island (trust me, you’ll see) you’re gonna run into problems right away. There’s bad weather, bad monsters, and poor little link getting plum tuckered out after he swims like...ten feet. 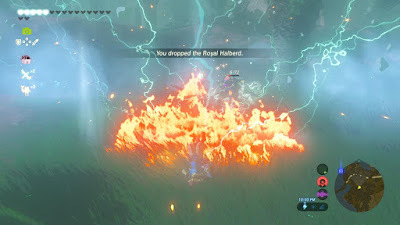 You might be the great hero of Hyrule, but that tiny fish pond doesn’t care. It’s a soulless puddle determined to drown you, Link! And those nearby fish? They’ll just swim by and laugh. Well, we are here to help! We got some hot tips that are like, stupid good. Which is to say, you can definitely do them and they will definitely work and they are definitely stupid. Stupid good. Check it out! Weather the Weather Whatever the Weather! In Breath of the Wild, there’s cold weather, there’s hot weather, and there’s straight up lighting. All of it wants to kill you! Wander out into the extreme weather unprotected and you start losing hearts fast, my friend. The games wants you to get special protective gear for cold and different gear for hot. Or, cook some special food for cold and different food for hot. And then it tricks you by letting you walk out into the Gerudo Desert that’s both cold and hot and also sort of just “exhausting” which isn’t prevented by heat gear it all? Ridiculous! Don’t be a chump. The is one simple solution to solve all your weather problems: Hearty Food. Does not hurt. DOES NOT HURT! Early on, monsters are tough...like really tough. You gonna study combat skills? Explore for better weapons? Heck no! You’re gonna insta-kill those fools with lightning! Here’s how it goes. Step 2. Find a monster. 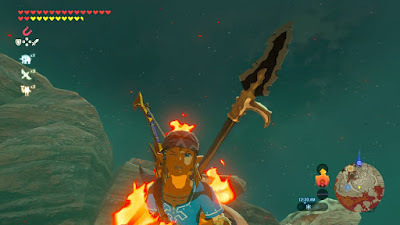 I recommend a scary blue bokoblin or even his big cousin the moblin. Step 3. Wait for a storm. Depending on where you are, this may take awhile. Step 5. Berserk the baddies! It’s time to yell, “Here comes the thunder!” and run straight at the monsters. No, seriously. I’m pretty sure this doesn’t work unless you actually yell that. Very soon, that sparking on your back will become a bolt from the heavens that will obliterate every monster you are very, VERY close to! Easy peasy electric squeezy. But what about you? Aren’t you dead, too? Step 1. Get a fairy. The early game directs you towards Kakariko Village and there’s a great fairy spring on a forest covered hill just north of that village. Once you activate it (100 rupees required), fairies will begin to appear from time to time when you visit. You just gotta sneak up and capture them. Then, when that lightning blasts everything dead, the fairy just comes out and makes you NOT dead. I love it when a plan comes together! Tag Team with the Rock! In the northwest area of Noob Island (or Great Plateau if you prefer) is a big, round, metal rock, aka, your new best friend! 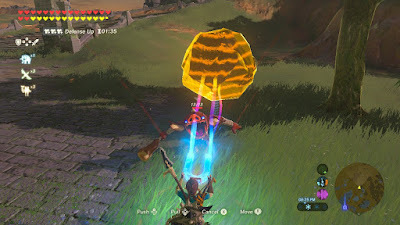 You’re gonna tag in your friend the Rock with your magnesis rune and drag him along to all the bokoblin camps. Then it’s time just raise him up, drop him down, and shake, shake, shake him all around. Time to hit rock bottom! So you’ve smashed up baddies and collected so many awesome weapons you can’t possibly hold any more. What a terrible problem! All you really NEED to do to carry more weapons is….build a house! Warning: Sometimes being awesome is exhausting! In Hateno Village (head toward Kakariko village and hang a right at a fork in the road) there’s a house getting torn down. 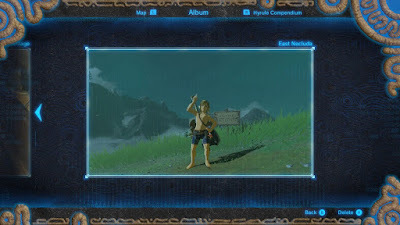 The construction crew will sell you the house for the low, low price of 30 bundles of wood and 3000 rupees. Just think of all the space in your inventory you’ll clear up as you break weapons on trees and rocks to get wood to use and ore to sell! Of course, that only gets you a shell of a house. You still need to spend more money on the three weapon mounts, three bow mounts, and three shield mounts. 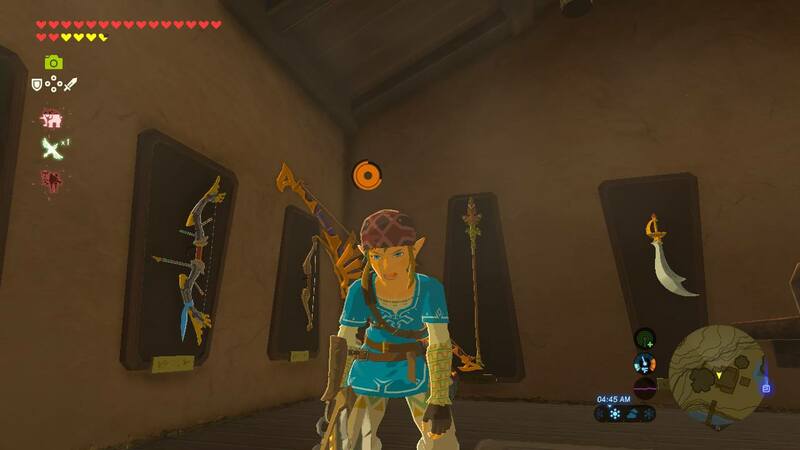 They’ll cost you a 100 rupees each. You can also spend more money on silly things like flowers and front doors, but who needs that? You’re just building a weapons holster...that you can live in! Now shove three weapons in your new house holster and go find new exciting weapons to carry. 1. 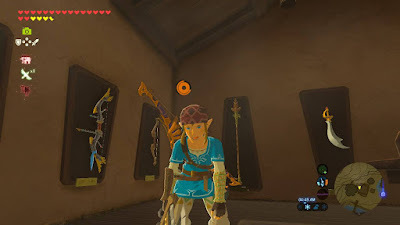 A Korok Leaf: You should have found a few of these when you were chopping all those trees down. 3. 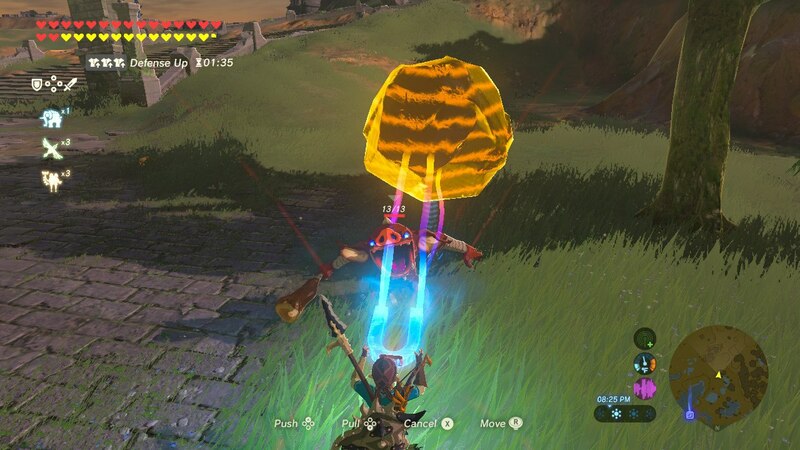 A LOT of Octorok Balloons: There are these octopus lookin’ critters that jump out of the water or the ground and shoot stones at you. Kill them and they drop balloons. You’ll need a bunch. 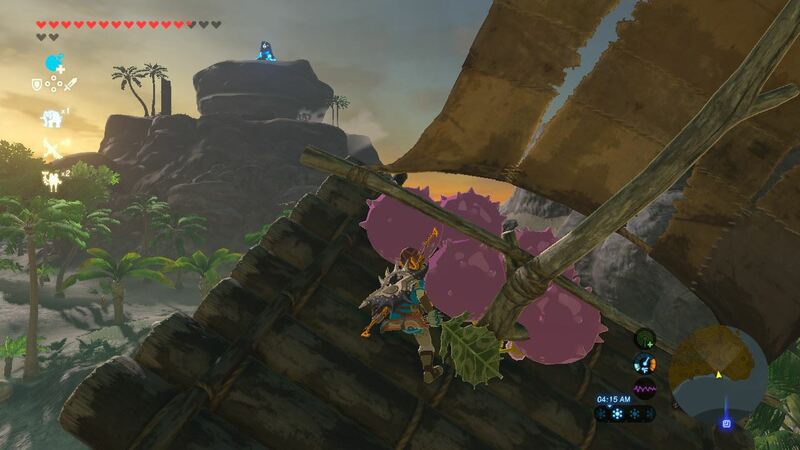 Now, stand on your raft, hold five balloons, and drop them all at once. Shout, “To infinity, and beyond!” and watch as they all attach to the raft and fill with air. Then, it’s up, up and awaaaaay you go! Fanning the sails with the Korok leaf will left you go forward a little at a time, but mostly you just go up. And in less than thirty seconds those balloons are going to pop so you gotta throw down five more to keep going. And then some more when those pop. Well, that's all the stupid good tips for you we have today. It's a big world out there for a little hero like Link. Good luck! Confession time. I have a tenancy to forget that I am playing a game. There are some games that I intentionally don't finish, I just grow tired of playing them and walk away. There are games that I convince myself I am going to "go back to someday and finish" because I am still enjoying but I have something else I want to play but I'm still really enjoying it. And then sometimes life just gets busy or I get frustrated with something about a game and decide to take a break for a day and do something else entirely and somehow it slips through the cracks and I completely forget that I was playing it at all. It's not that I have plans to "go finish that someday", or even that I'm bored with them, it's just that I... forgot? Rewind to sometime in the way back years of 2011. I discovered a "new" style of narrative-driven adventure games. 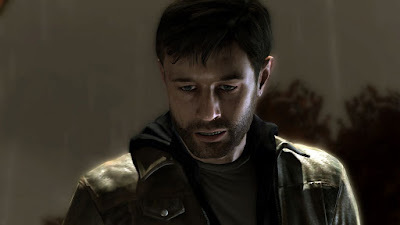 The first one I played was Heavy Rain. It was roleplaying in a whole new way. 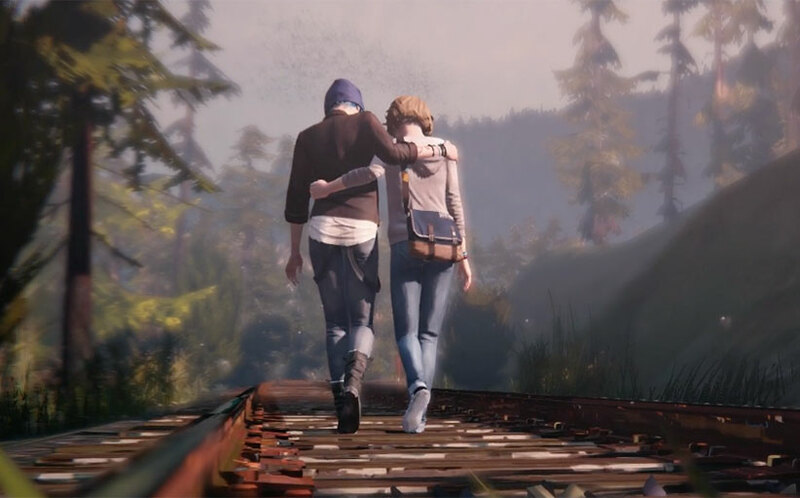 I wrote about the way it made me feel at the time, and it's still of the most emotional experiences I've ever had in gaming. Oh, Ethan. How far would you go?? About a year later The Walking Dead Season One came out, and I was once again captivated. I had zero interest in the Walking Dead franchise, but I had read so many cool things about the game, so I picked it up and I was immediately drawn into the story of Lee and Clementine. Another story that has stuck with me for years. Oh, Lee. What would you do for Clem? Since then I have eagerly played as many of the narrative-driven, often episodic, games as I could. Telltale Games is especially known for putting out these types of adventure games, and has an entire selection of them now ranging from Batman to Minecraft Story Mode. Despite the strong emotional impact of Walking Dead, my favorite so far has bee Tales From the Borderlands, which also had an emotional impact but was also just so *fun*. I loved the characters and felt really invested in the story. 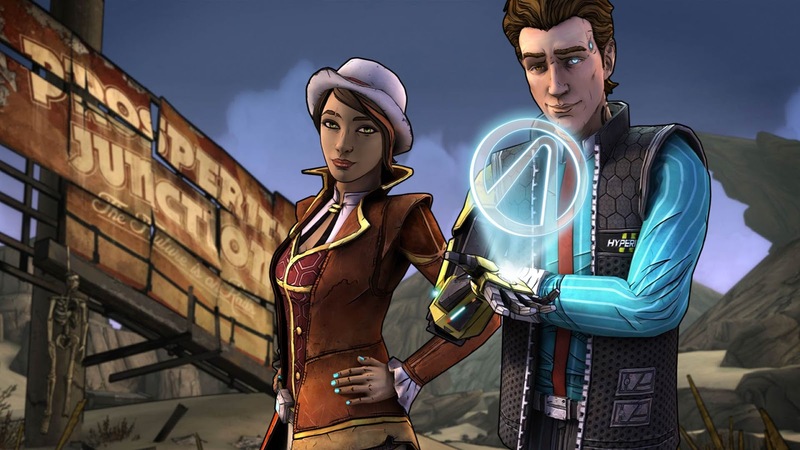 I am a big Borderlands fan, so my delight in the universe played a huge role I'm sure. The fun style, the friends-frienemies story between Rhys and Fiona, the jokes (I laughed out loud in this game so many times! BEST FRIEND LOADER-BOT! ), the great use of music, and the moments of action-game feel really made it feel like I was in for a fun ride. Oh, Rhys and Fiona. I love you both so much! 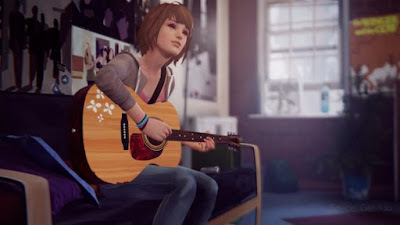 Sometime after Tales of the Borderlands, fellow Growing Up Gamers blogger Julian recommended to me a new game he was playing called Life is Strange. This one was not a Telltale Games adventure, and he was raving about the story and the fact that it had a neat new mechanic where you could rewind time to see how other decisions could have played out. This sounded like a fun new evolution, first we get choices that matter and now we have games where choices matter but we can play around with deciding which way we want those choices to impact the story. I'm in! Max can rewind time and change her choices! 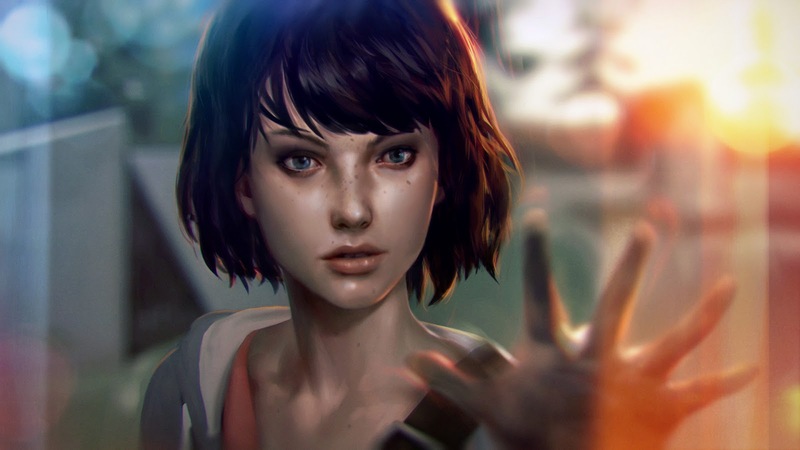 I played through the first episode of Life is Strange right away and loved it. Cool story, great characters, and the fact it was set in Oregon was a really fun bonus. One thing I noticed that I especially enjoyed was the use of music in the game. This is a thing I enjoyed a lot about Borderlands and while Life is Strange did it completely differently I'm coming to appreciate how much of an impact it can have on my experience, and have been trying not to immediately mute a game and play with my own music on! One of the things I liked the most about the first chapter of Life is Strange was the emerging/rekindling friendship story between Max and Chloe. 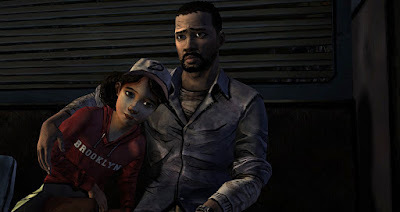 That was what I enjoyed so much about Walking Dead, the friendship between Lee and Clemintine, but that game was so stressful. Life is Strange definitely has stressful things going on in it, but the rewind power makes it so I know I can go back and (probably?) fix my mistakes. I was invested in their story and eager to see how it played out. And then it happened. I got stuck on a minor thing in Chapter 2. It was frustrating me so I decided to take a break. The next day I chose to watch TV or something instead of playing the game. I probably started binge watching a show. And despite my enjoyment of the game and investment in the characters, I completely forgot I was playing it! Fast forward to last week. 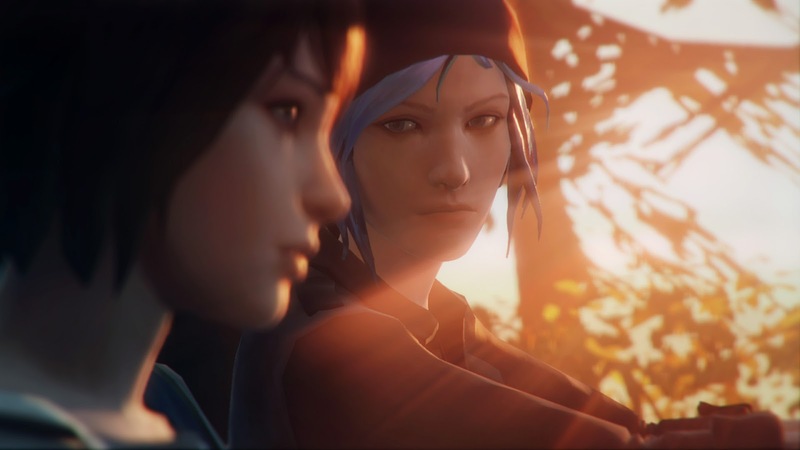 My friend started streaming games on Twitch and when she said she would be streaming Life is Strange I suddenly remembered Max and Chloe and all the things I wanted to do! I had 3 and a half chapters to go! I hastily "finished" Chapter 2 so I could watch her stream without spoilers. I say "finished" because it was late at night, a dramatic thing happened and there was an emotional scene, and I somehow told myself it was over despite not seeing credits roll. The feels. Also, get off the train tracks kids! I thoroughly enjoyed watching the stream and participating in the chat. It's exciting to experience the story reveals along with others. Eagerly anticipating the next stream, I went to play Chapter 3 to stay ahead and turns out I hadn't finished Chapter 2 after all. No spoilers but WHOA there's a major story moment at the end of chapter 2! I definitely would have remembered that, so I'm glad I had to cut out of the stream a few minutes before she got to that part, although I am very curious how our choices differed. If you want to join in on the fun, my friend Mrs_Growley will be streaming Episode 3 tonight, January 9th, at 6:30pm PST on her Twitch channel. Excuse me while I got play Chapter 3! Come join us for the stream, or check out the stream archives on the channel if you're interested. What's your favorite narrative-driven video game?